The 2018 FIA World Rally Championship will continue on weekend from February 15 to February 18 with the 66th edition of Rally Sweden, the only snow rally on a calendar of the world’s premier rally competition. 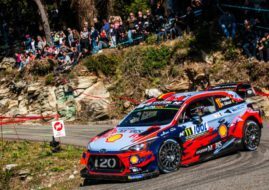 Sixty-eight crews are on the entry list for the event, including fourteen cars in the top-class of the 2017-spec World Rally Cars, twenty-seven R5 cars and fourteen crews in Ford Fiesta R2T cars which are eligible to score points in the Junior WRC competition. Only two drivers who previously scored wins at Rally Sweden will come again to Swedish snow – Jari-Matti Latvala and Sebastien Ogier. Latvala has won four times in Sweden (2008, 2012, 2014 and 2017), including last year’s victory in a Toyota Yaris WRC. Ogier reached the top podium spot three times (2013, 2015 and 2016). 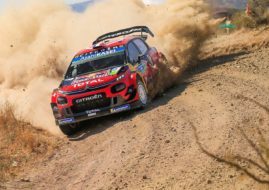 Among fourteen drivers in the 380-hp WRC machines, the Swedish round would be the first event for Teemu Suninen with M-Sport Ford WRT and the first event for Mads Ostberg with Citroen Total Abu Dhabi WRT. Hayden Paddon will drive the #6 Hyundai i20 Coupe WRC after Dani Sordo did his job at Rallye Monte-Carlo. Henning Solberg will drive privately-entered Ford Fiesta WRC, same as Lorenzo Bertelli who is returning to WRC for the first time since last year’s Rally Argentina. Saudi driver Yazeed Al-Rajhi will drive old Ford Fiesta RS WRC. 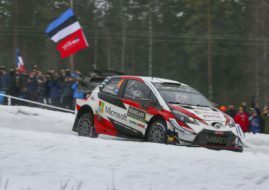 The regular WRC Manufacturers’ entrants are Seb Ogier and Elfyn Evans (M-Sport Ford), Andreas Mikkelsen and Thierry Neuville (Hyundai), Jari-Matti Latvala, Ott Tanak and Esapekka Lappi (Toyota), Kris Meeke and Craig Breen (Citroen). Among 27 crews with R5-spec cars, fifteen will be eligible to score points for the WRC2 category of the World Championship. One of the drivers is the 2017 WRC2 champion Pontus Tidemand who also won last year at Rally Sweden. He will drive Škoda Fabia R5 for Škoda Motorsport. The strong competition for Tidemand is coming from his own team (Ole Christian Veiby) but also from Hyundai Motorsport (Jari Huttunen) and many private teams. Among the R5 drivers there will be also the World Rallycross champion Johan Kristoffersson in the #102 Škoda Fabia R5. It would be his second WRC start after he made a debut at 2016 Rally Sweden in a Škoda Fabia S2000.